Global Interfaith Network for People of All Sexes, Sexual Orientation, Gender Identity and Expression > Blog > News > Religious Dialogue Partners Process takes off in Southern and Eastern Africa! GIN piloted the first Southern African regional Hearts Set on Pilgrimage (HSoP) process last year in April in Auckland Park, Johannesburg, South Africa. A total of 15 participants were selected from across 5 countries, namely Botswana, Lesotho, Namibia, Mozambique and Zimbabwe. The aim of the Religious Dialogue Partners (RDP) process is to address and counter the role that churches play in instigating violence against marginalized groups such as LGBTIQ+ people. The RDP process is made up of two parallel processes that take place in order to achieve this. 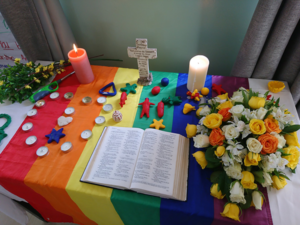 One is the HSoP process which is now referred to as the HSoP Retreat for LGBTIQ+ people of faith, that is held by the GIN Secretariat and our members. The other is the One Body Supplement training that takes religious leaders at a national Christian Council level through a process of meaningful dialogue with LGBTIQ+ people that will curb violence from the pulpit against LGBTIQ+ people. This is held by the Fellowship of Christian Councils in Southern Africa (FOCCISA). FRI, which is the largest Norwegian LGBT Organisation is a key partner in providing ongoing support for the programme throughout Southern Africa. Participants in Lesotho review some of the work from the week. Since last year’s pilot a number of the LGBTIQ+ religious dialogue partners have begun to engage with their Christian Councils in meaningful dialogues. In some of the contexts this has been more challenging than in others, but steady progress is being made and the programme is developing well across the region. Due to some of the feedback that was given by some of the HSoP retreat participants from last year, there was a call for further HSoP retreats to be done in order to provide a greater number of LGBTIQ+ religious dialogue partners as three per country were simply not enough for the task at hand. The process is furthest advanced in Lesotho. Lebohang Matela-Tale who is the FOCISSA coordinator that is working with the religious leaders in the RDP process added, ‘We are beginning to see a clear shift in the way that religious leaders are beginning to open up and engage with LGBTIQ+ people.’ She also says that at an event held last year to commemorate Human Rights Day, pastors, theologians and a dialogue facilitator who is a church elder spoke publicly about acceptance of LGBTI persons using affirming scriptures and reinterpreting those that have been used as bullet texts. Both Tampose and Lebohang, and information about the programme, were featured in a news article in a Lesotho newspaper, as well as on regional radio programmes. 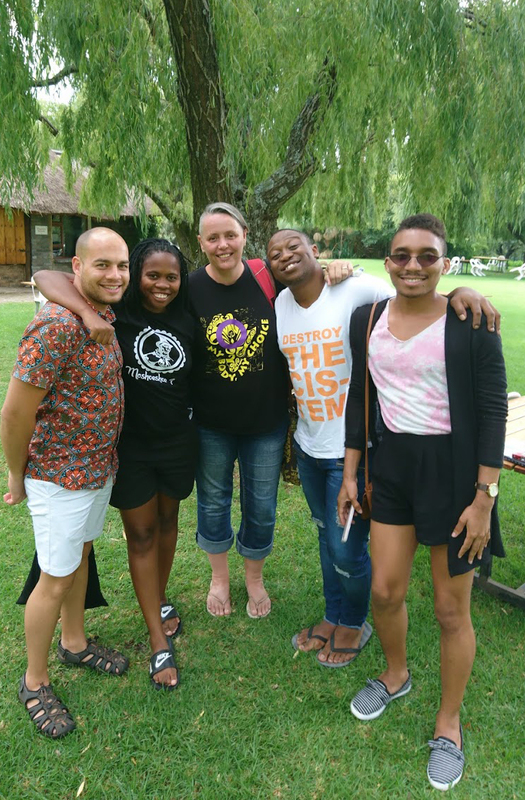 Together with the support from FRI, GIN undertook at the end of last year to plan a roll out of in-country HSoP retreats in order to increase the number of suitable LGBTIQ+ dialogue partners as well as to increase the ongoing support for each of the LGBTIQ+ dialogue partners. 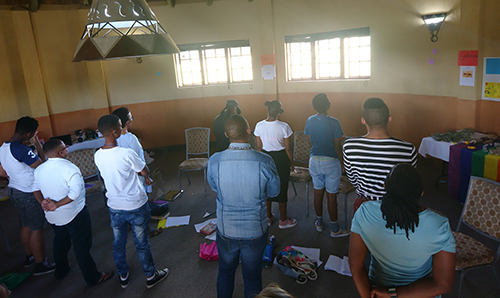 GIN successfully conducted three HSoP retreats between January and February of this year – one in Maseru, Lesotho and two in Kenya, one in Kisumu, and the other in Mombasa. 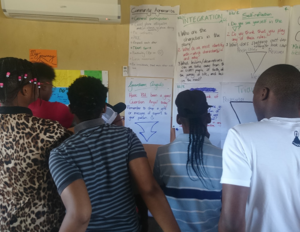 It also welcomed the theological and facilitation skills of Chantell Fortuin (Botswana), Frank Lileza (Mozambique) and Mtzw Mtzw (South Africa) who assisted Pierre Buckley (GIN Secretariat) and Toni Kruger-Ayebazibwe (GIN Secretariat) in co-facilitating the HSoP retreats. Part of the reasoning for expanding to East Africa, is because two membership organisations of GIN, namely Nyarwek and PEMA Kenya, both have been doing work in the space of faith and sexuality over the past 10 or so years. Running the HSoP retreat makes sense in fitting in with the current programming of these two organisations and that this would further provide tangible support for the communities of these two organisations in Kenya. A reflective moment in Lesotho. From the HSoP retreats some participants shared their perspective on the retreat. From comments like this it is clear to see the need for LGBTIQ+ people of faith to move through their journey in a space that is safe, held by peers that have similar experiences who can provide a place of comfort and support for each other. The HSoP retreat is empowering LGBTIQ+ people to claim their space in the communities and in their faith spaces. Furthermore, in Kenya, CCI (Compassion-centered Islam), founded by well-known queer Islamic scholar Imam Muhsin Hendricks, ran a 7-day programme for Muslim LGBTIQ+ people of faith concurrently as GIN ran the HSoP Retreat for Christian LGBTIQ+ people of faith. On the final day of both of the processes, each of the two groups came together for a final closing in a joint prayer ceremony. This was a moving encounter, and there are plans to see how these two processes could continue to complement and maybe work more closely together in the future. The week also highlighted the much-anticipated judgement on the repeal of Sections 162 and 165 of the penal code that currently carries an up to 14 years prison sentences for ‘indecent practices between males’ in Kenya. To the sorrow of many LGBTIQ+ activists, including the participants that attended both the HSoP Retreat and the CCI Islamic training, the judgement has been further postponed to May this year. Some believe that due to safety concerns surrounding the outcome of the judgement, it was decided that it would be best to let tempers or tensions settle before the final judgement be made. Kenya, is under high pressure as countries – like Angola recently – and some others in the region have set a precedent by repealing the colonial laws that unjustly discriminate against people based on their sexual orientation. As the RDP process unfolds GIN is committed to developing an implementation strategy in order to ensure ownership by each of the locally grounded organisations in each of the countries where these retreats take place.